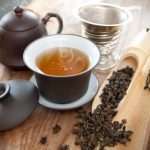 Home » Tea » Best Oolong Tea: Which 3 Brands Are Clean And Taste Great? If you’re wondering how to choose the best oolong tea, you’ve come to the right place. We’ll explain the different varieties, give you an idea of what to look for in an oolong tea and review a few of our favorites. 2 What Does Oolong Tea Taste Like? Some say that oolong tea is a blend of green and black teas. It really isn’t a combination of teas at all. 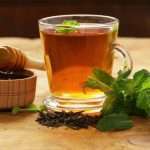 It uses tea leaves that have been partially oxidized to merge the flavors and benefits of black tea, which is completely oxidized, and green tea, which is not oxidized at all. Oolong tea comes from the Camellia Sinensis plant. However, many sub-varieties of this plant are used to make tea. The plant is mainly grown in Taiwan and China, but oolong tea can come from India too. After they’re picked, the leaves are tossed in a basket and lightly bruised so that they brown evenly. Then, they’re exposed to air until they’re about 20 to 60 percent oxidized. Any tea that is between 8 and 25 percent oxidized may be categorized as an oolong. The leaves may be roasted to stop the oxidizing process and impart a more complex flavor to the tea. 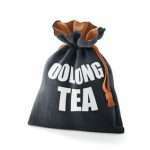 Oolong is a wide tea category that offers a great deal of variety. Although it’s not as dark and malty as black tea or as bright as green tea, it can hold diverse flavors. The growing conditions of the plant affect the final flavor, and experienced tea-makers can coax out the essence of smooth butter or tropical fruit. 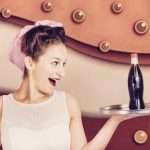 The taste depends greatly on the way it’s processed. Unroasted oolongs are often referred to as “fresh” or “green” and retain the distinctive aromatic oils from the plant. 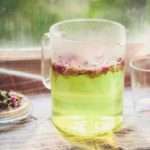 They tend to brew into light yellow or greenish beverages and resemble green tea. However, an unroasted oolong is fruitier and less grassy than traditional green tea. It usually has sweet floral notes that hint at buttery corn. Lightly roasted oolongs are baked at a low temperature to mellow the flavor and add body to the brew. These teas have a warmer, spicier flavor and fewer springy aromatics. They may have hints of seeds, toasted grains or honey. When brewed, this type of oolong is usually reddish or amber in color. Heavily roasted oolongs go through multiple rounds of baking to add boldness to the final beverage. These teas can usually withstand many steeping infusions before they lose their flavor. These can be as dark as coffee and have a nutty, chocolatey, earthy flavor. 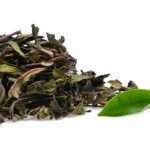 Darjeeling tea can be made in green, oolong or black varieties. However, it is made in the Darjeeling region of India instead of in China or Taiwan, as many other oolong teas are. Darjeeling is sometimes called the “champagne of teas,” and this one doesn’t disappoint. It’s natural, fresh tea without any added preservatives or flavors. The tea is certified to be pure by the Tea Board of India. It is processed within 48 hours of harvest, ensuring a fresh, flavorful product. The multi-colored leaves are as beautiful in the package as they are in the final brew. 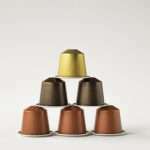 They produce a slightly amber tea that combines a distinctive aroma with floral notes. We like the versatility of the loose-leaf tea. You can use as much or as little as you want to develop the perfect brew. The full-sized leaves can be removed with a spoon after brewing, or you can use a strainer. One of the benefits of using tea with large leaves is that you don’t need a special strainer to steep your tea, though. It comes in a foil pouch with a zipper-sealed top, which keeps the leaves fresh. You don’t have to use an alternative storage container for your tea. Simply squeeze out the air, seal the top and keep it in a cool, dry place. This mild, subtle tea comes in individual bags, making it easy to brew. The ideal way to steep it is in water that’s approximately 5 degrees below boiling temperature. 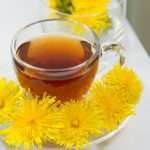 You should steep it for approximately 3 to 5 minutes before drinking it. Prince of Peace tea is completely natural. The tea is grown and processed in China and has been certified organic by IMO Switzerland. Although the specific type of oolong is not specified, this tea is slightly sweet and mildly earthy. Some say that it tastes creamy without the addition of dairy products. Although some oolong teas can be bitter if they’re heavily roasted or steeped using high heat, this one doesn’t develop strong flavors even if it isn’t brewed properly. 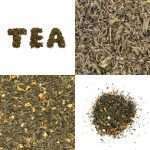 However, some users say that they detect a smoky, roasted flavor in this mild tea. It has the perfect blend of smoothness and flavor. On the downside, because it is so subtle, you might not be able to steep this tea multiple times to get more than one cup out of one tea bag. You would likely be able to brew two cups of tea from one bag. This is the darkest, smokiest oolong tea that we reviewed. Many users say that it’s one of the strongest oolong teas that they’ve tried. We like the rich color and medium body of this tea. 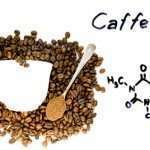 It makes an adequate substitute for coffee, although it has less caffeine than java. You can add milk, cream or a sweetener without dulling the taste of the tea itself. You might not need to add sugar because this tea has a subtly sweet taste. The brewed tea is strong enough to pour over ice without diluting the flavor. 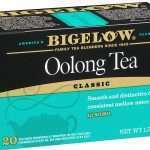 Even though Bigelow oolong tea has a rich flavor, it is not bitter. It’s earthy without tasting like dirt. The tea bags are individually sealed to preserve flavors and prevent flavors from becoming tainted. You can smell the dried tea when you open the bag, even before you begin to steep it. Many consumers don’t find this with other brands of oolong tea. This tea is more affordable than many gourmet brands. Its value is extended by the fact that you can brew each tea bag multiple times. The flavor is consistent with each brew. 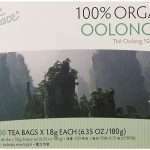 Although each brand of oolong tea that we reviewed has different characteristics, we like the Bigelow oolong tea the best. We prefer the stronger, richer flavor and body to the milder alternatives. We also like the fact that we can smell the tea’s freshness just from opening one of the individually sealed packets. Even though the taste is robust, it is smooth. You can dilute the flavor by adding more water after steeping the tea. 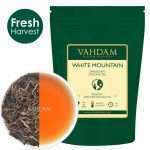 If you prefer a lighter, milder tea, you might want to buy the Vahdam White Mountain Darjeeling oolong tea. It’s a little more refreshing than the Bigelow, and you can adjust the flavor by varying the amount of tea leaves that you use. You might want to purchase a tea strainer, though, because that brand comes in a loose-leaf variety. If you want the convenience of tea bags and a mild tea, try the Prince of Peace oolong tea.